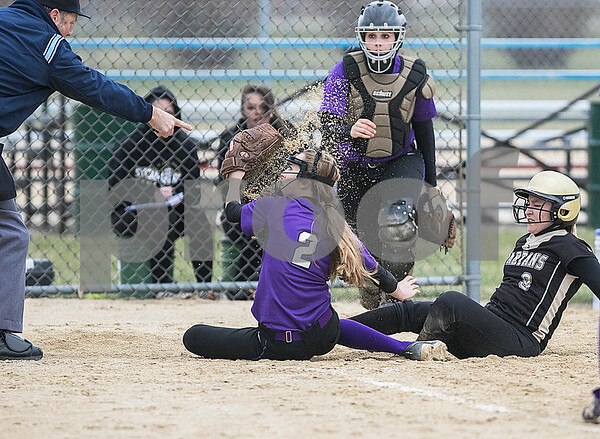 Hampshire pitcher Haley Widmayer holds her glove up for the ump to see after tagging Sycamore baserunner Natilee Morey sliding into home in the bottom of the third inning at the Sycamore Sports Complex on Airport Rd. on Wednesday, April 8, 2015. Morey was ruled out. Sycamore beat Hampshire, 14-7.